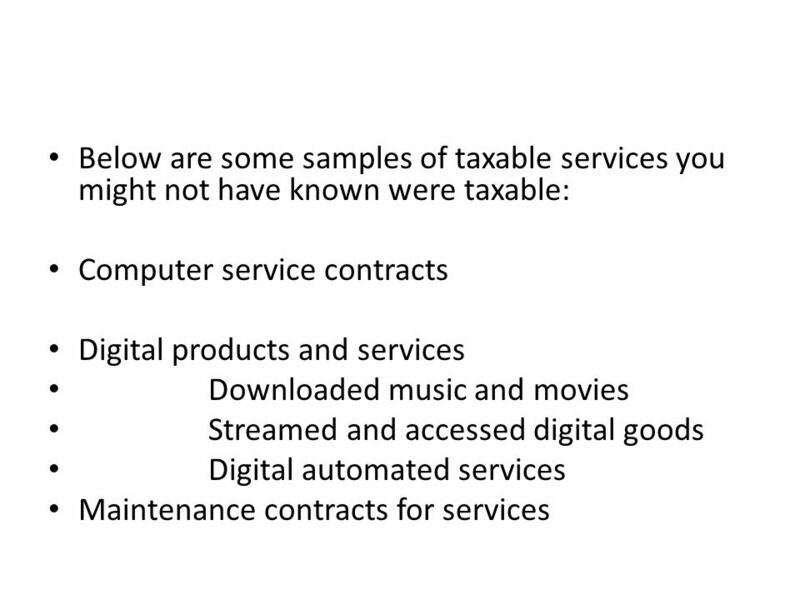 9 What is use tax? 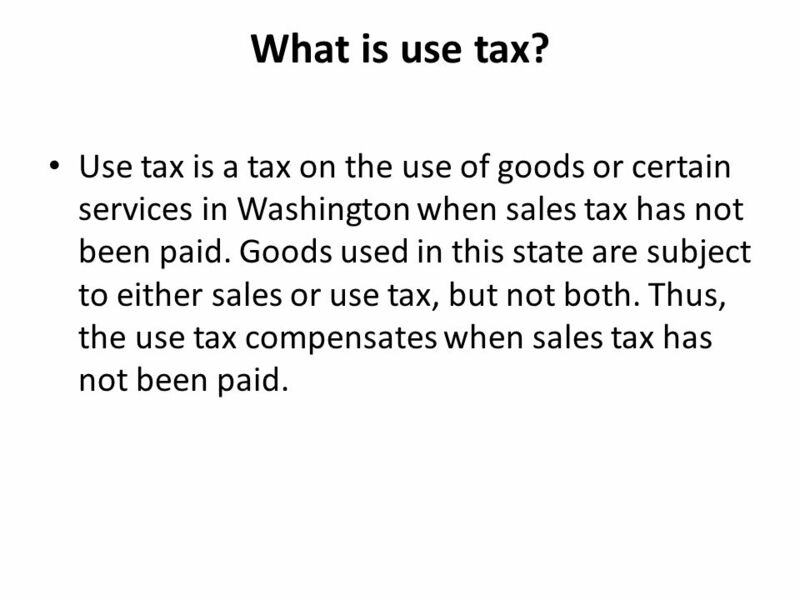 Use tax is a tax on the use of goods or certain services in Washington when sales tax has not been paid. 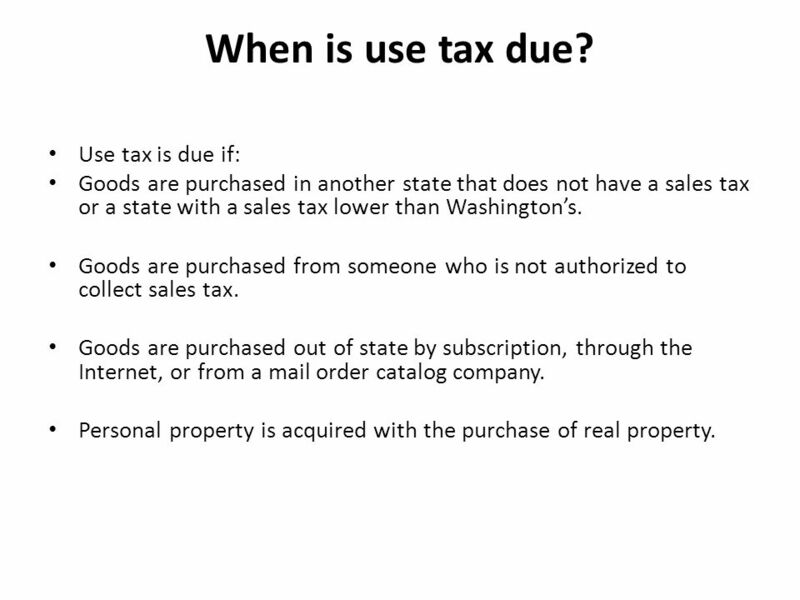 Goods used in this state are subject to either sales or use tax, but not both. Thus, the use tax compensates when sales tax has not been paid. 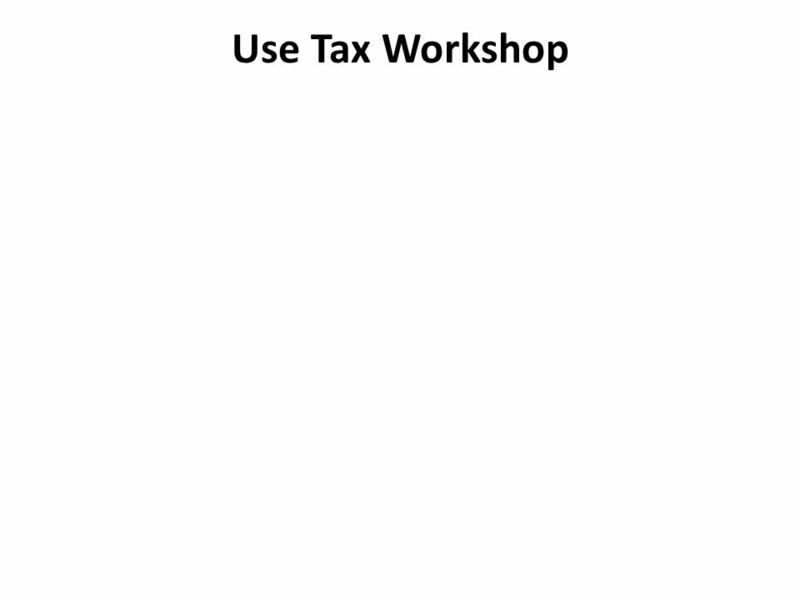 10 When is use tax due? Use tax is due if: Goods are purchased in another state that does not have a sales tax or a state with a sales tax lower than Washington’s. Goods are purchased from someone who is not authorized to collect sales tax. Goods are purchased out of state by subscription, through the Internet, or from a mail order catalog company. Personal property is acquired with the purchase of real property. 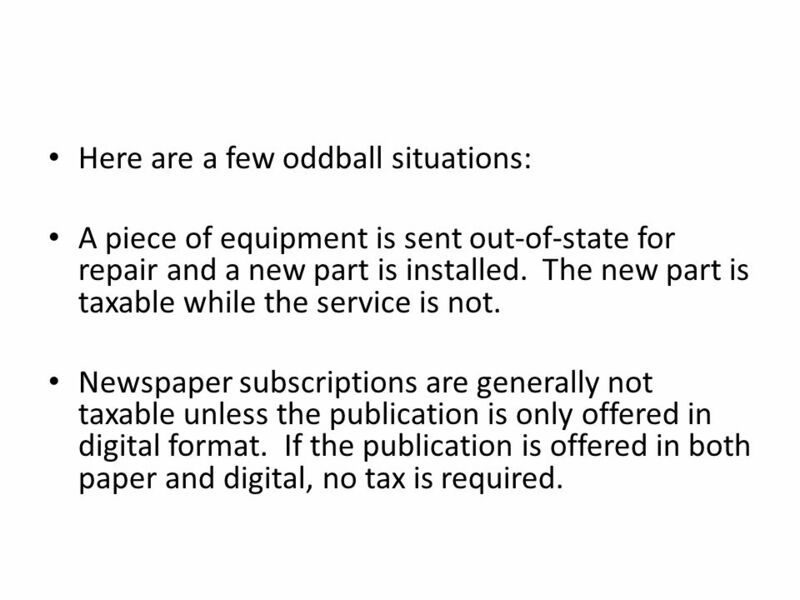 12 Here are a few oddball situations: A piece of equipment is sent out-of-state for repair and a new part is installed. 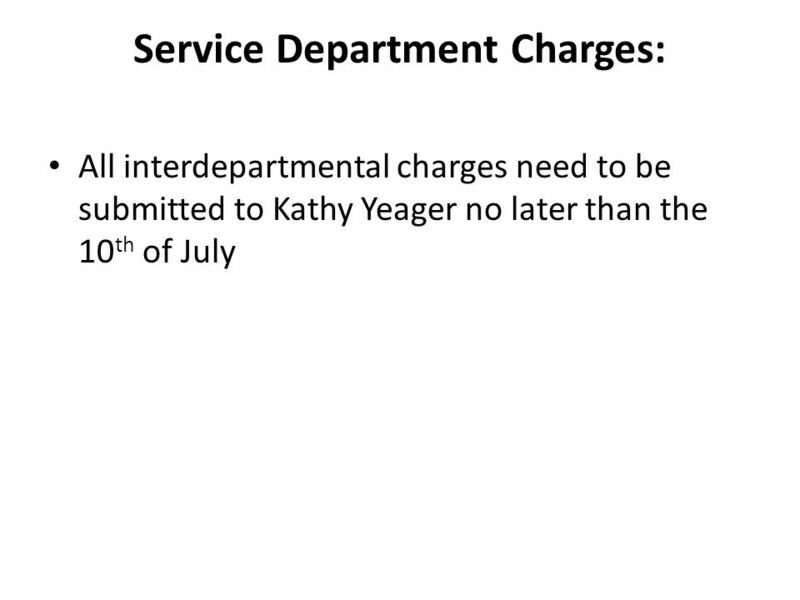 The new part is taxable while the service is not. Newspaper subscriptions are generally not taxable unless the publication is only offered in digital format. If the publication is offered in both paper and digital, no tax is required. 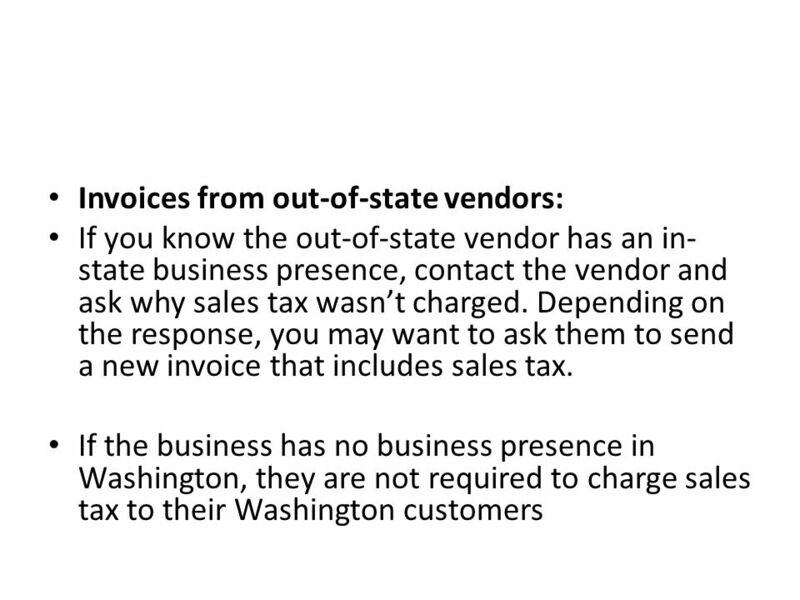 13 If sales tax is not listed on an invoice, the Department of Revenue instructs you to do the following: Invoices from in-state vendors: Contact the vendor and ask why. 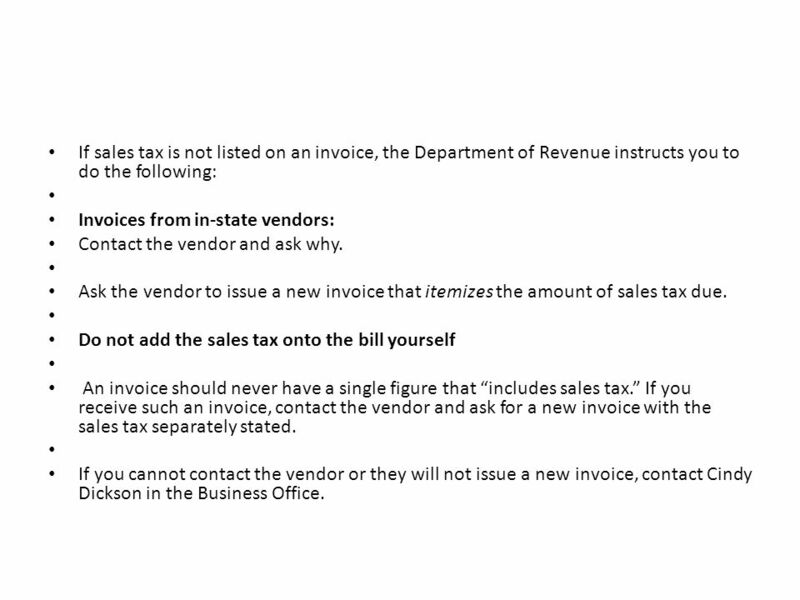 Ask the vendor to issue a new invoice that itemizes the amount of sales tax due. Do not add the sales tax onto the bill yourself An invoice should never have a single figure that “includes sales tax.” If you receive such an invoice, contact the vendor and ask for a new invoice with the sales tax separately stated. 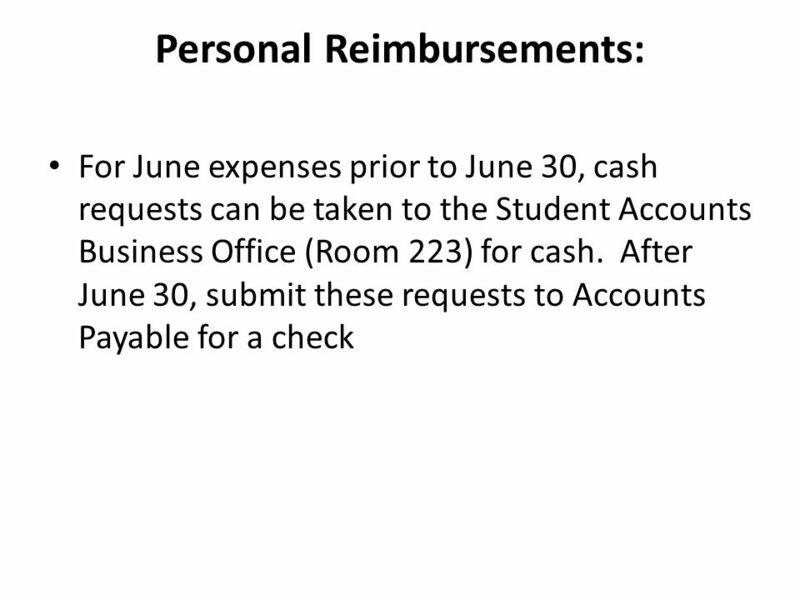 If you cannot contact the vendor or they will not issue a new invoice, contact Cindy Dickson in the Business Office. 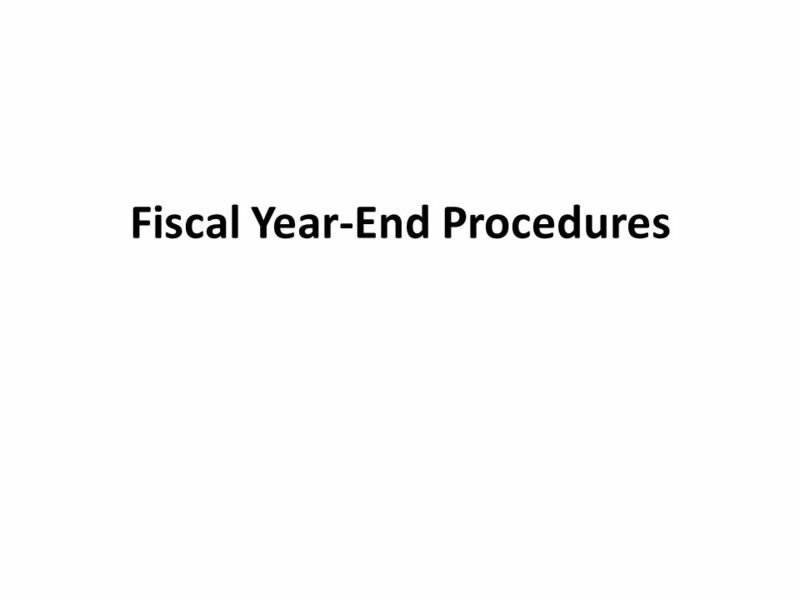 Download ppt "Fiscal Year-End Procedures. 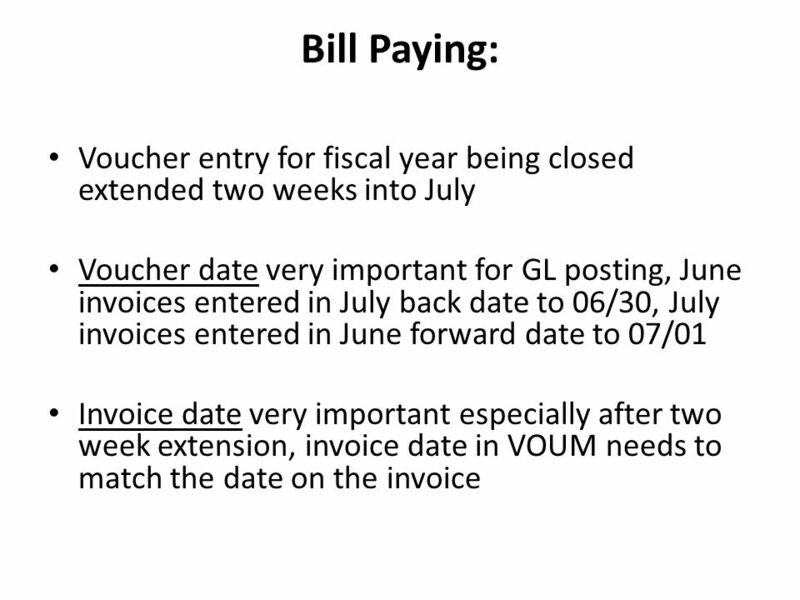 Bill Paying: Voucher entry for fiscal year being closed extended two weeks into July Voucher date very important for GL posting,"
Sales & Receivables Year End Processes Presented by: Stacie Sodolak Close-out FY07. Welcome Accounts Payable FY2010 Year-End Closing Workshop Presented by: Sandra King, Accounts Payable Manager Office of Business Services. MURC Purchase Card (P-Card). Policy & Procedure Manual Read thoroughly Covers most questions P-cards are a privilege that may be revoked for violations. 2 Mission Statement The Procurement Services Department supports the mission of the University of Virginia by purchasing quality goods and services at. Administrative Support Workshop January 16, 2014. Slideshow 4 Setting Up Bank Services, Tax Services and Schedule Codes 5.2. Accounting Information Systems: Definitions and Characteristics. Appendix C Special Journals and Subsidiary Ledgers. 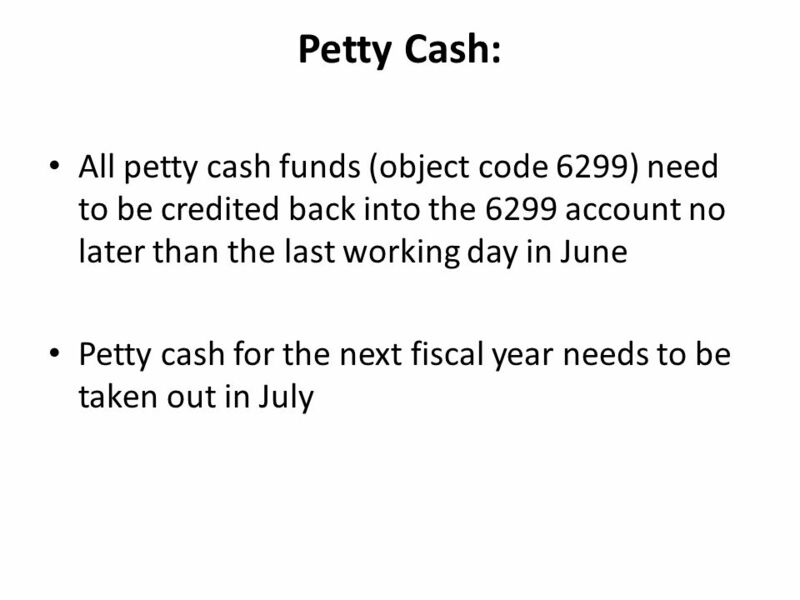 Departmental Petty Cash Funds Boston University Medical Campus Revised 9/09. 0 Guy Wilson May 2008 Accounts Payable Overview: Transition Workshop. ARCH FORD EDUCATION SERVICE COOPERATIVE Staff Meeting 2011. © The McGraw-Hill Companies, Inc., 2005 McGraw-Hill/Irwin Chapter 6 Reporting and Analyzing Cash and Internal Controls 6-1. FINANCIAL MANAGEMENT GUIDE © Marin Management, Inc General Accounting Procedures, 7137 Paying Sales Tax to Vendors A. The Purpose of This Policy. 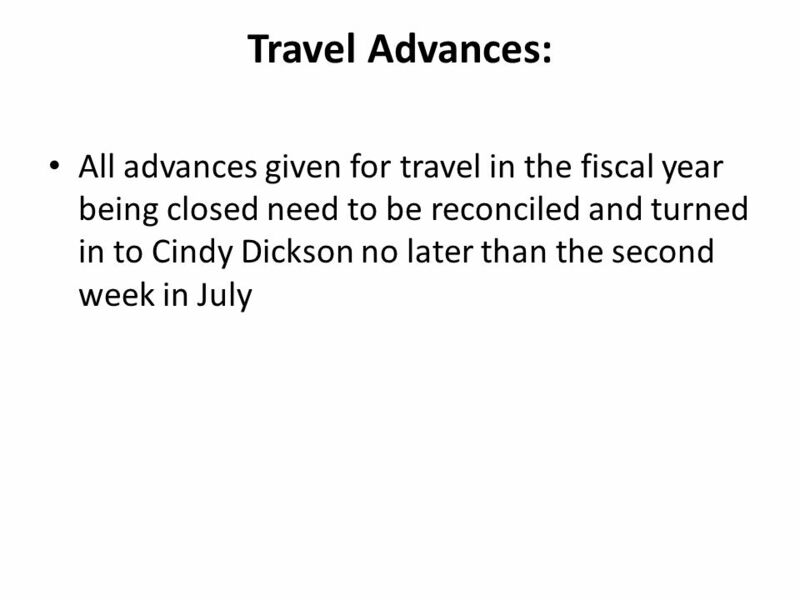 Year-End Closing of the Books Fiscal Year Dates to Remember: June 30 Last day of FY14 July 8 Period 12 closes at 5:00 p.m. July 15 FY14 campus Banner. PURCHASING AND ACCOUNTS PAYABLE THINGS TO KNOW. DEFINITIONS REQUISITIONS - Formal authorization to make a purchase - getting permission to buy something. Year-End 2012 Last Updated: May 11, 2012. 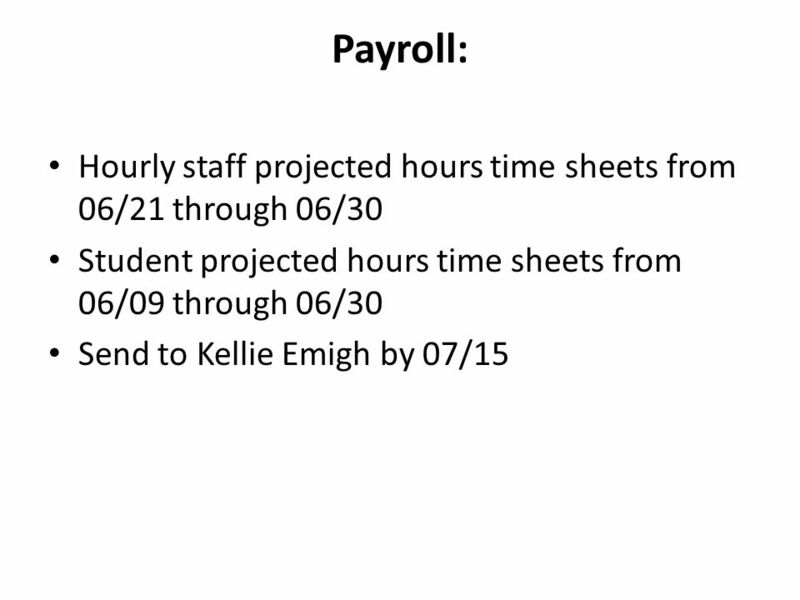 Year End This session will: –Provide important information designed to educate departments on year end processes.